Winter is upon us and we must unfortunately deal with the idea that soon, the roads will be covered in snow and our driveways will be blocked by a careless snowplow. These elements are part of everyday life for Maritimers. Winter is upon us and we must unfortunately deal with the idea that soon, the roads will be covered in snow and our driveways will be blocked by a careless snowplow. These elements are part of everyday life for Maritimers from December until April, if we’re lucky. But with the 2014 Honda CR-V and its available intelligent AWD system, it is possible not only to brave the icy roads with confidence, but also to cross almost any snowbank with a smile. Even if you do not opt ? 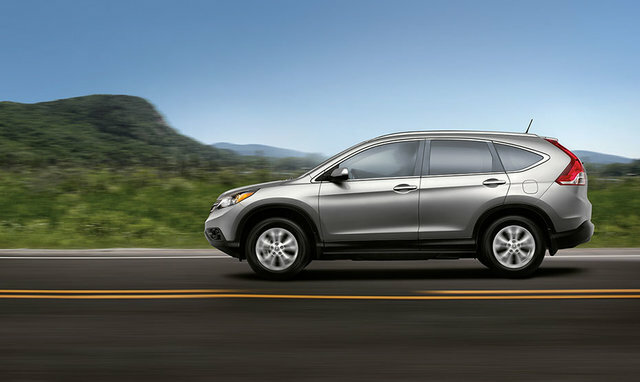 ?for a CR-V equipped with AWD, know that Honda's compact SUV comes standard with traction and stability control. The latter applies the brakes automatically when the device detects a loss of grip in order to prevent skidding. 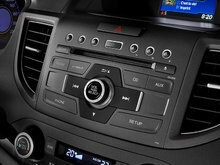 The changes to the 2014 Honda CR- V are minimal, but that was to be expected. After all, when a company offers one of the best-selling compact SUVs in Canada, it is not obligatory to tamper with the recipe. 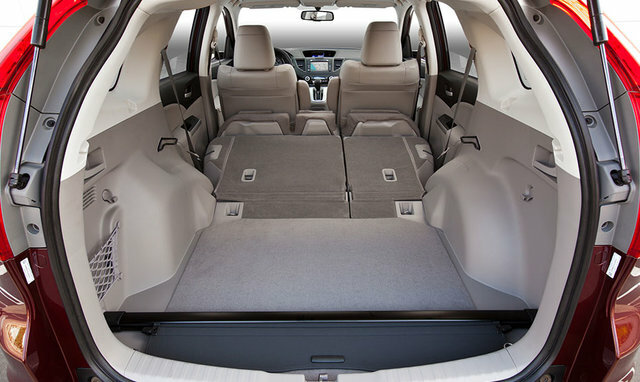 The Honda CR-V is still quiet and comfortable, in addition to offering one of the largest and most welcoming cargo areas in its class. And, as always, its owners can sleep soundly knowing that Honda’s legendary reliability is intact with the CR-V. 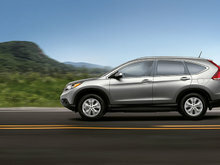 Starting at $ 25 990, the 2014 Honda CR-V is available in four versions: LX, EX, EX -L and Touring. The LX and EX models are offered with front-wheel drive while all-wheel-drive is optional. The EX-L and Touring models offer only AWD. 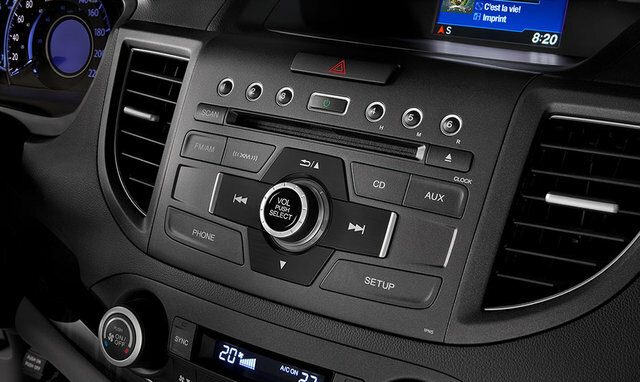 The 2014 CR- V comes standard with heated front seats, Hill Start Assit (the system ensures that the vehicle does not roll back on a slope when you release the brakes before pressing the accelerator) and Bluetooth connectivity, among others. 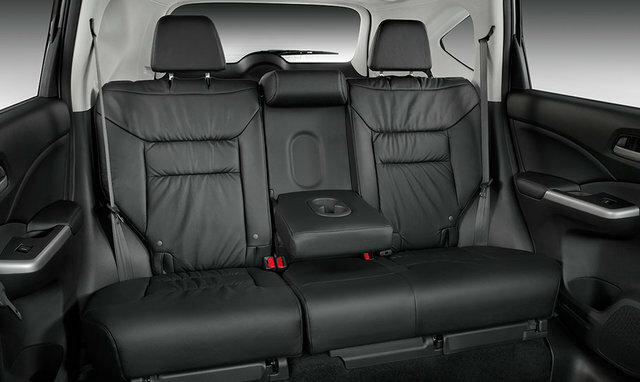 The Honda CR-V can also be equipped with leather seats, a sunroof, a navigation system, and a multi-angle camera that significantly facilitates parking maneuvers. 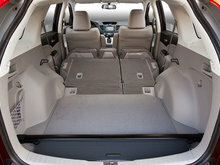 In short, whether standard or as an option, the 2014 Honda CR-V offers all the equipment that one could ask to find in a compact SUV. All models are powered by a four-cylinder, 2.4 liter engine developing 184 horsepower and 163 pound-feet of torque. In addition to dynamic performance, this engine is fuel-efficient with an average consumption rating of 7.8 liters per 100 kilometers in the front-wheel drive versions, and 8.1 liters per 100 kilometers in the 4x4 models. Fuel economy is aided by the ECON driving mode, offered as standard, which at the touch of a button changes the parameters of the vehicle in order to maximize fuel-efficient driving. The 2014 Honda CR-V will once again be a strong competitor in the competitive compact SUV segment. Comfortable, quiet, well equipped and economical, it also offers a variety of technologies that facilitate travel on snowy or icy roads. This winter, it could very well be your most powerful ally! Come see the new 2014 Honda CR-V at Bathurst Honda today!